Ajitgarh is a planned city modeled after neighboring Chandigarh. In the beginning, the city was developed only up to Phase 7; later as the population began to grow more and more phases began to be developed and brought under the scope of Ajitgarh Municipal Corporation. Today the city has 11 phases each of which is divided into identical sectors. Each of these phases has their own infrastructure. Most of them also have an area earmarked for industries. In a way Phase 1 is the administrative headquarters of Ajitgarh. Both the Deputy Commissioner and the Senior Superintendent of Police of Ajitgarh have their offices located in this phase. Apart from that, the nodal office of the Electric Supply is located here. In addition, the area has a Post Office and a Police Station as well as many hotels, restaurants, shops and of course, many residential buildings. The Franco Hotel located in this region is actually a landmark and the main road that runs through the middle of the phase is known as Franco Hotel Road. The two most important landmarks in this phase are Bassi Theatre and Gyan Jyoti Institute of Management and Technology. The road, on which both of these edifices stand, is known as Gyan Jyoti Road. Mohali Pind Road and Madanpur Road are two other important roads that run through its periphery. Phase 3B2 is another important locality in Ajitgarh. The area has many shops, hotels, restaurants, banks etc. The Apni Mandi in Phase 3B2 is a shoppers’ paradise. In this market, buyers can purchase fresh vegetables and fruits at a reasonable rate directly from the farmers. Those who are on a spiritual quest will find many temples located in and around this area. Gurudwara Sacha Dhan Sahib is another popular place of worship in this phase. Moreover, the phase has a number of public parks and therefore if you are looking for wisp of fresh air you may also come here. The main attraction of this phase is Bougainvillea Garden, located on the Mohali Stadium Road in Sector 59. The park was earlier maintained by PUDA, but now GMDA has taken over the responsibility. The other two important roads running along its periphery are Kakhnour Pind Road and Mohal Pind Road. The most important landmark in Phase 5 is the office of the Municipal Corporation of Ajitgarh. 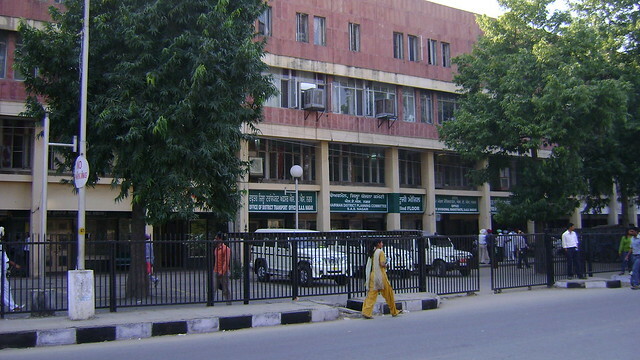 The BSNL Telephone Exchange is also located in this phase. Besides, the phase has many shops, hotels, restaurants and banks. PTL Chowk located at the juncture of phase3, 4 and 5 is also another important land mark. There are quite a few important buildings in phase 6. Among them the Civil Hospital, run by the Government of Punjab, is most the important landmark. It caters to a large number of people from the entire region. To cater to the needs of the patients a large number of chemists have also opened their shops in this locality. Apart from it, the phase also houses the Max Super Specialty Hospital. This two- hundred-bedded hospital specializes in the treatment of cancer, cardiac problems, orthopedic and trauma. The Swimming pool and the Markfed Shooting Range are two other landmarks in this phase. Phase 7 has Patiali ki Rao flowing through its periphery. The ESI Hospital, Council of Secondary Education, Power Grid Sub Station, Cremation Ground etc are few of the important landmarks in this phase. The phase has many well known industries. Among them, Punjab Tractors is a well known name. If you are interested in Sikh history, you must visit the Sikh Museum set up in the Balongi region in Phase 7. As has already been stated, in the beginning Ajitgarh comprised of 7 phases only. Development of Phase 8,9,10 and 11 started only in 1980s. However, the same layout was followed while developing this additional area. Just as Phase 7, Phase 8 also has a number of industries located within its periphery. Besides, the area has two historical Gurudwaras, Gurudwara Amb Sahib and Gurudwara Angitha Sahib in Ajitgarh. For more details about these historical places you may visit our page on Gurudwaras in Ajitgarh. Fortis Hospital is another land mark of this phase. Contrarily, phase 9 is more famous for its stadiums. The PAC Stadium located in sector 63 has made Ajitgarh famous in the cricketing world. There are also the International Hockey Stadium and Mohali Sports Complex located close by. Besides, this phase has many hotels and restaurants. Silver Oaks Hospital, located here, is one of the renowned hospitals of this town. Phase 10 and 11 are newly developed areas with many industries, shops, restaurants, hotels, banks and lifestyle centers. Ajitgarh Railway Station, located in sector 62, is one of the main landmarks in this region. Although it is a small station with just two platforms it caters to a large number of passengers. Mohali Club located nearby is an elite club of this region. It is to be remembered that Ajitgarh is an ever expanding city with more and more areas being included under it. Today the city has 144 sectors. Many of the government offices and institutions are now being shifted out to these newly developed regions. For example, a magnificent court complex is now being in sector 76. There is also a plan to shift out the office of the Deputy Commissioner. The infrastructure is also being improved to match such an expansion. Very soon, Ajitgarh is going to become a primer city of this region.